DUG - May 2019 - Accessibility, etc. 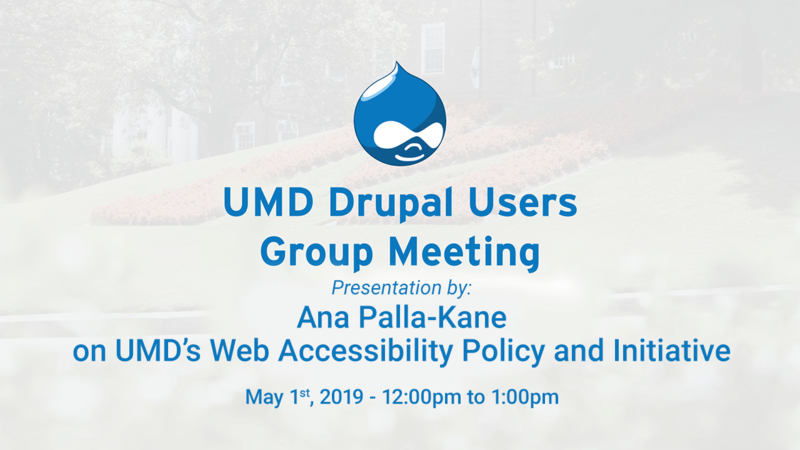 For May, Ana Palla-Kane, Senior IT Accessibility and UX Specialist in Academic Technology & Innovation, and Co-chair of the President's Commission on Disability issues (PCDI) will present an update on UMD's ongoing implemention of the web accessibility policy. Feel free to bring any other topics or questions you may have for the group. College of Arts & Humanities is looking for a Front End Web Developer, visit here for complete details and to apply. 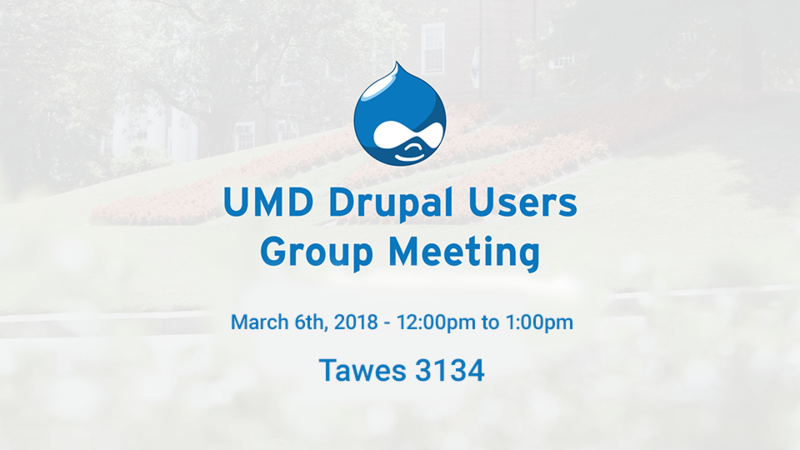 Please note that March's meeting of the Drupal Users' Group will be held in Tawes 3134. 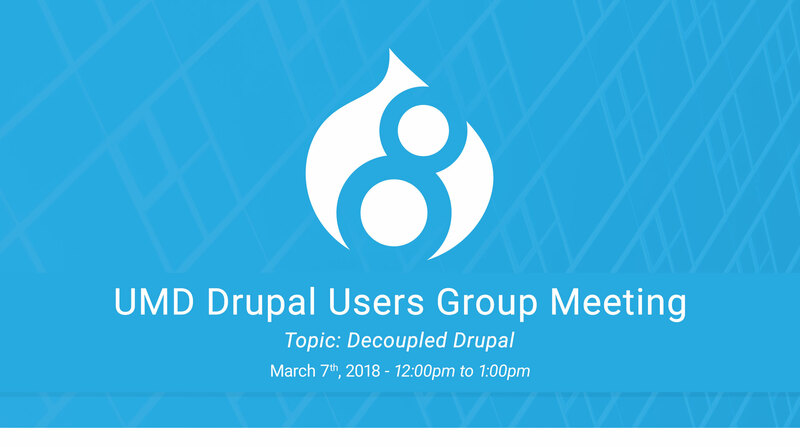 Potential topics for discussion can include the recent and officially announced end-of-life dates for Drupal 7/8, recent Drupal security updates, and proposed changes to the Users' Group website. Submitted by tholden1 on Thu, 02/07/2019 - 10:21am. DUG - Search Engine Changes, etc. Submitted by mkamuiru on Fri, 08/03/2018 - 3:21pm. Submitted by mkamuiru on Wed, 06/06/2018 - 3:46pm. Submitted by mkamuiru on Wed, 05/02/2018 - 2:45pm. 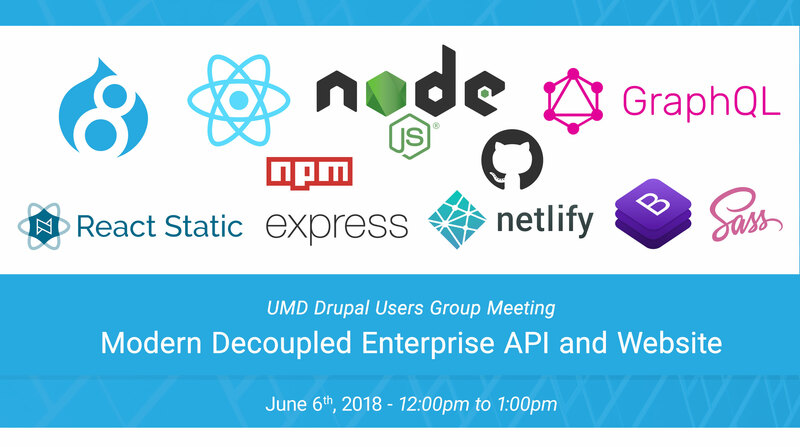 Submitted by mkamuiru on Thu, 03/22/2018 - 4:15pm. Submitted by mkamuiru on Wed, 02/07/2018 - 4:02pm.